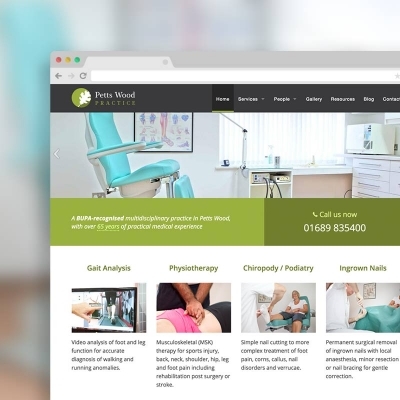 We were referred to Amit by another of our clients who we’d recently worked with on branding and a website design. 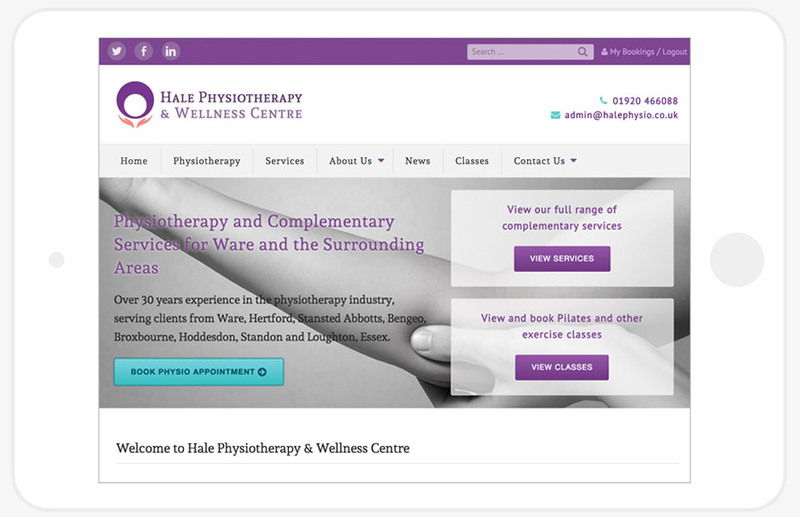 He was keen for us to help with a complete re-brand of the (then) Hale Physiotherapy & Exercise Ltd. 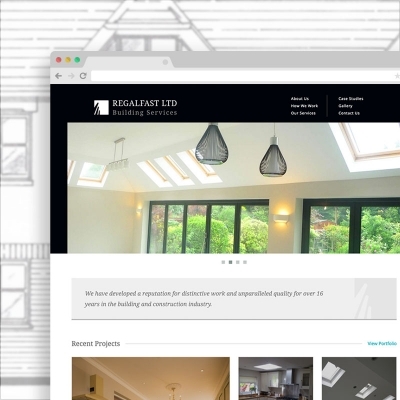 This project would involve a new name, logo, colour scheme and brand new website. The written brief provided included details on the services that would be on offer, the target demographic and new website functionality. 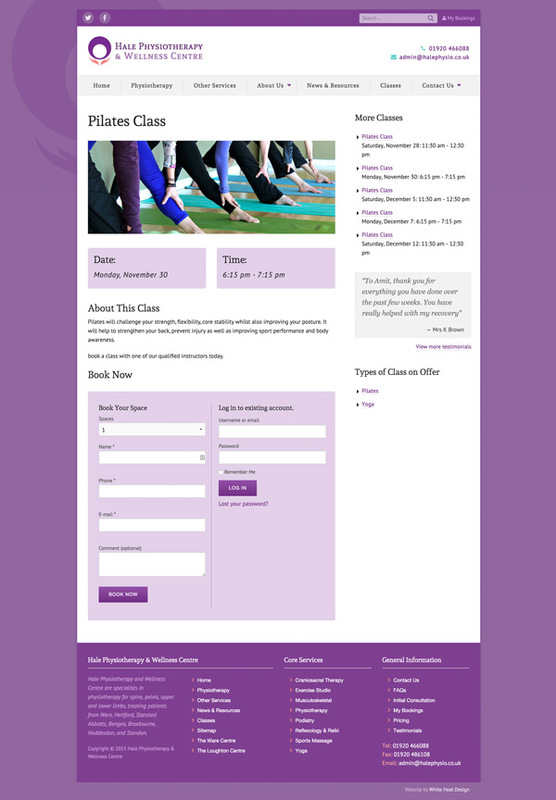 One of the key aspects of the new website was that it should include a class booking system so as to relieve reception staff of needing to take bookings over the phone. This would free them up for other tasks. The first port of call was to update the old logo with the new brand name. We wanted something that was more easily transferrable across different mediums and that would behave better at different sizes. The old logo was extremely difficult to read at smaller sizes and the use of gradients and glows dated it. The logo we designed is more scalable, with a focus on legibility and aims to incorporate themes of nature and overall health. 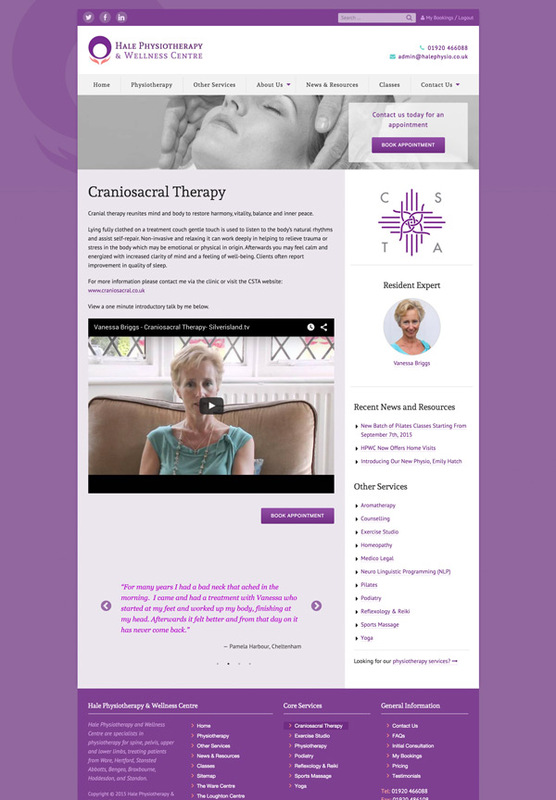 The colour palate has also been expanded, allowing more flexibility with the website designs and we lightened the original deep purple as we felt it was a little overwhelming. 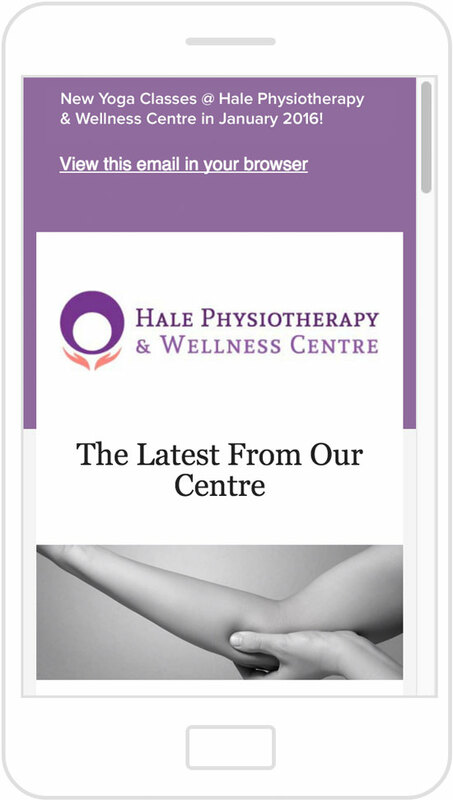 The new website is mobile-responsive, making it easier for users on the go to find the info they need about the centre. 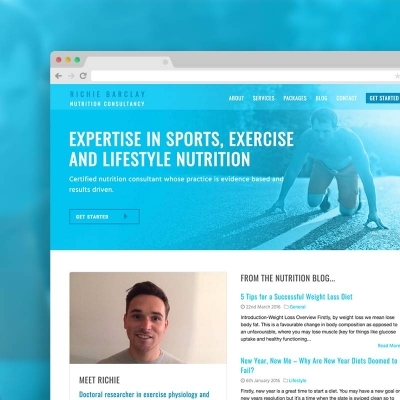 Given the amount of content on the site, a lot of work went into ensuring the hierarchy of information was optimised for what users would be looking for – contact details front and centre on every page, for example. Amit and his team have access to edit all of the existing content on the site. They can also add content to any section, meaning the site has the ability to grow as the business grows and the site will expand to house the content as necessary. Building the site this way also means that Amit won’t need to wait on anybody else in order to update content, it’s all accessible through the minimal backend of the site. Although it’s very simple to manage, we also created a set of video tutorials just in case he ever gets stuck with anything. In the admin of the site, staff can be assigned multiple areas of expertise. They will then appear on each service’s page. This can be done as simply as clicking on the preferred services. 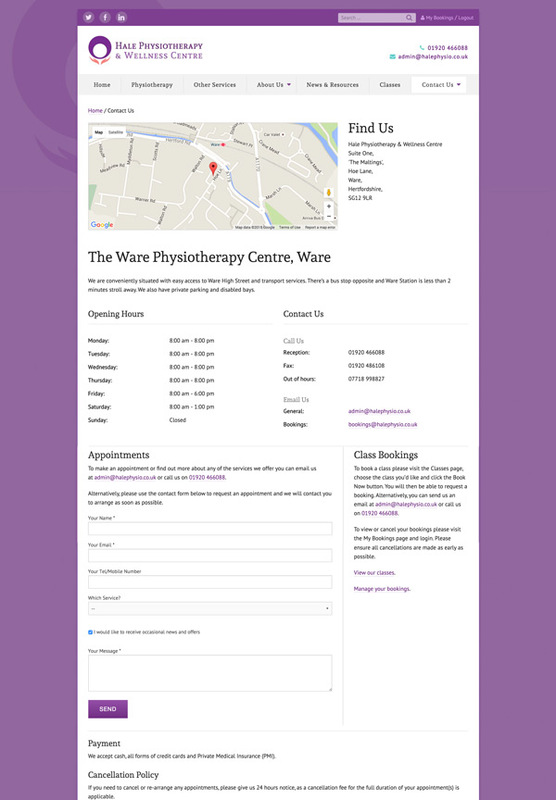 The contact page can take different types of information, such as multiple phone numbers, email addresses, appointment info, class booking details and a map. 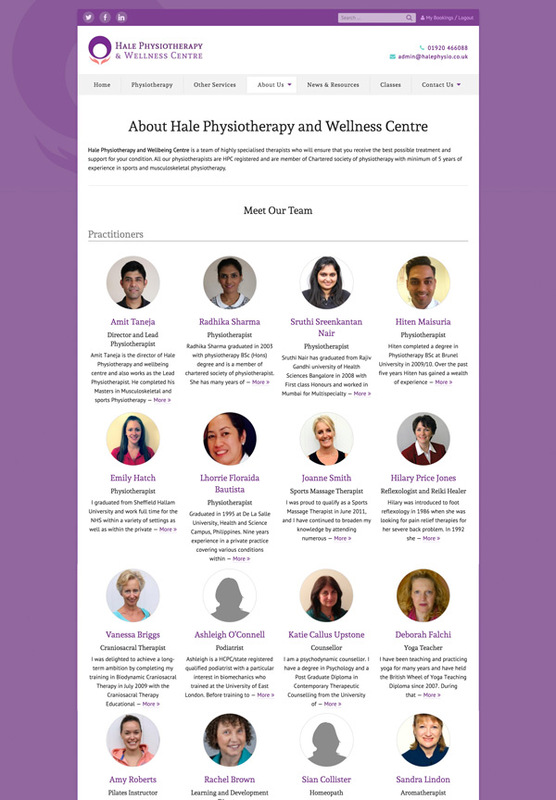 If that isn’t enough, we also built in the ability to add multiple Hale Physiotherapy branches, knowing that a new one would be opening soon after launching the website. 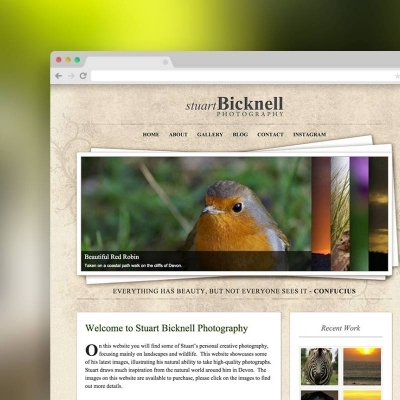 Part of the brief for this project was to add the ability to offer discounts and offers to users of the website. So we built a section that allowed Amit to create different styles of discount, with start and end dates and that could be shown on specified sections of the site. They would then automatically run between those dates and disappear once the date had passed. 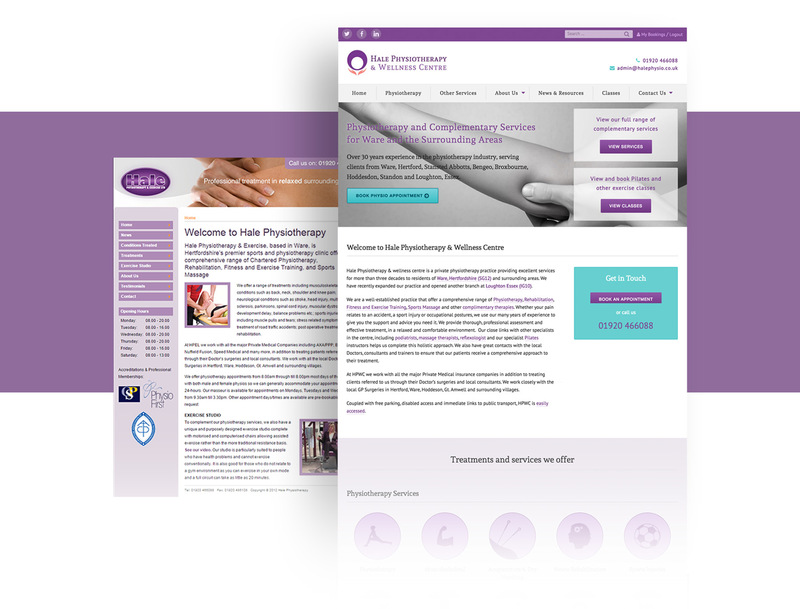 The final milestone of the project was to create a branded HTML email so that Amit could alert his clients to the new website and use the same template to offer discounts and news. 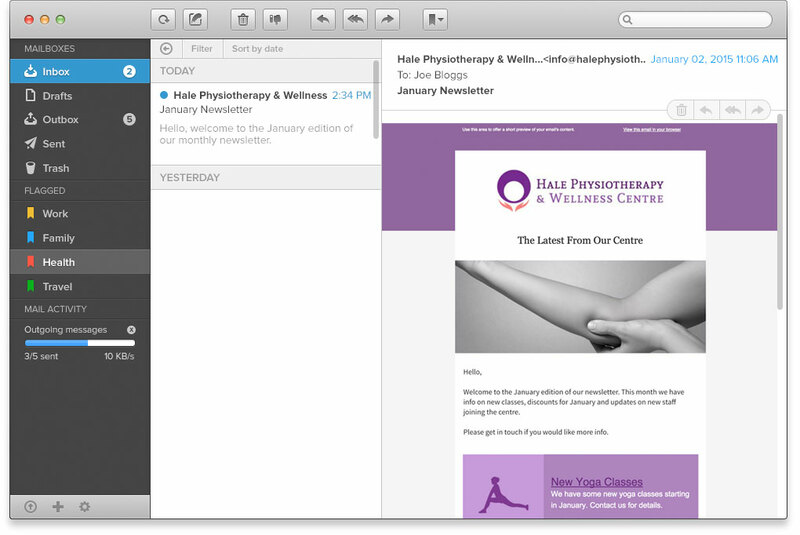 The email was designed to be responsive so it also adapts to the users mobile device for a better reading experience.